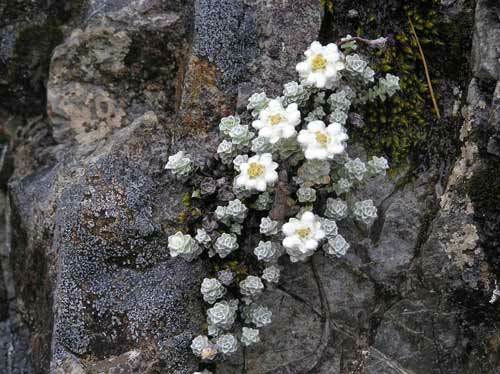 South Island edelweiss (Leucogenes grandiceps) is one of four species of native edelweiss, all found in alpine habitats. Their common name derives from the close similarity of their flowers to those of the European edelweiss (Leontopodium alpinum). They all have yellow-brown disc florets surrounded by woolly white bracts.